Are YOU ready to ride like a star? No matter the occasion or event we have the vehicle that is right or you. Whether you need a stretch limo for a birthday party or high school prom, a classic ride for your wedding, a stylish hummer for your retirement party or a party bus for your next big event; Riverside Limo Rental can and will accommodate all your transportation needs. We have an array of services to choose from, so you never have to worry when it comes to planning your next event. We know the Riverside area rather well so we know all the paths, short cuts and back ways to get you to your destination on time. When you choose us you will know you are getting quality services at an affordable price with people that put your needs first. You can contact us anytime, as we are always looking to serve you. We're available around the clock and we accept last minute reservations as well. Your reservations can be made 24 hours a day, 7 days a week at your convenience. We even transport on holidays with reservations made prior to your event. Our rates are very competitive so there is no reason for you to the rest when you know you will have the best. So you have reviewed our website, looked at our services, seen our videos and now it is your turn to become an active participant and give us a call. You can also fill out the form to the right and one of our amazing staff members with get back with you very soon. 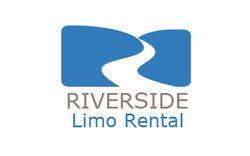 Riverside Limo Rental looks forward to helping you make your next event one you will never forget.